So thanks for Pinterest, I have a little DIY itch that I cannot scratch. I’m not even really into DIY projects either. Mostly, because I can usually find someone who sells whatever it is I’m contemplating DIY-ing. 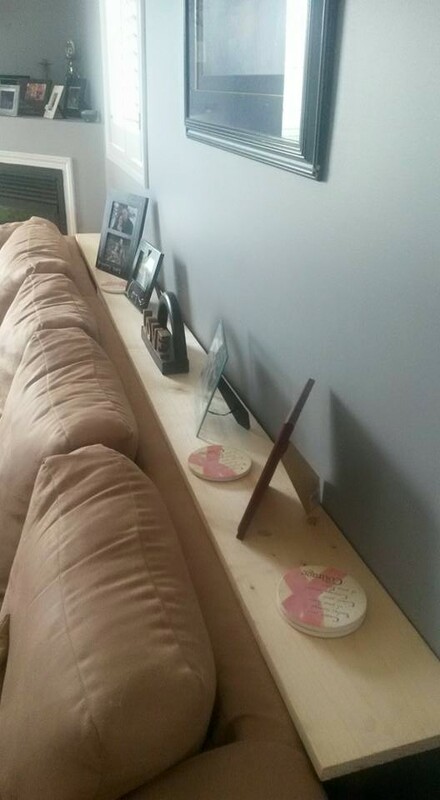 That being said, however; this DIY project my husband completed for us was [relatively] easy. When Kurt and I moved into our house almost four years ago, we were faced with a bit of a dilemma. Our large sectional couch that was supposed to go in the finished basement would not fit down the stairs. No matter how hard we tried, we could not get it down the first landing. We were both pretty bummed out about it because we had purchased brand new furniture to use upstairs and now we were going to have to switch up the layouts of the rooms. Our sectional is pretty long and due to a corner fireplace the lounge part of the couch couldn’t be pushed directly into the wall. This meant that a lot of the floor space was also taken up by the couch. If we used a coffee table, there would be absolutely no walking room so for roughly four years we had been placing our drinks on the floor. When it was just Kurt and I we were fine doing this but now with Nate, there is no way anything can be left on the floor. He picks up everything he can get his hands on and then throws it. So glasses, cans, bottles, etc wouldn’t stand a chance with him. So like I said, thanks to Pinterest we were able to come up with this solution! I apologize in advance for the terrible pictures. The camera on my phone is garbage apparently. 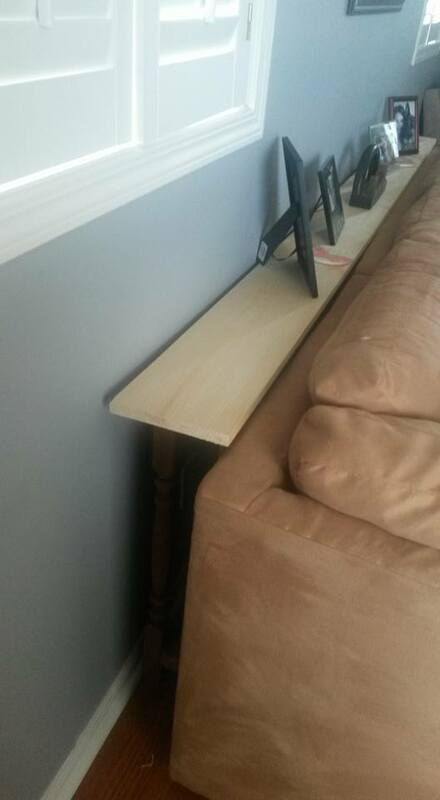 Basically, Kurt took four stair banisters, cut them down to the height of the back of our couch, screwed them together, and then glued a cedar board on top of them. For extra support he also glued another piece of wood to connect the banisters below the cedar board. 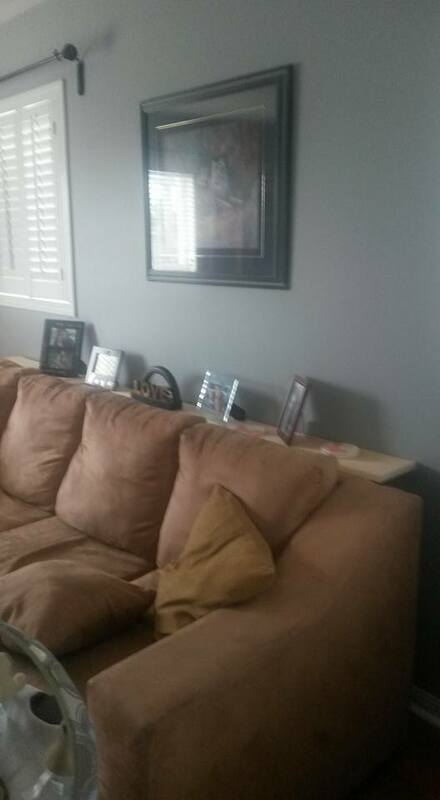 This provides us with enough room for some picture frames (which were starting to crowd the fireplace mantel) as well as an area for us and guests to place their drinks. 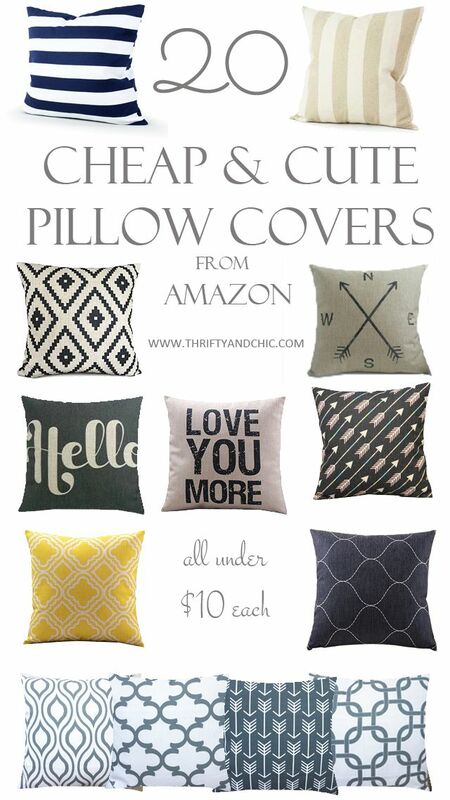 I’ve ordered the Love You More as well as the navy striped pillow to match Nate’s teepee and two others that aren’t pictured here. I can’t wait to post pictures once it’s all complete!! If you’re interested in seeing more of my pins you can always follow me on Pinterest! Next Post DIY Picture Update! Hey there! I'm Carly, a momma to two beautiful boys, wife, cat mom, nurse, lover of all things chocolate, and coffee addict! Three years ago I started this blog as a means of documenting my oldest son's first year of life and as he grew, so did my blog. It's evolved into a space where I share our adventures, document things I want to remember, talk about products and businesses I love to support, and so much more! Thanks for stopping by my little space!